I did a posting back in April about how many of my family members had been surrendering their lives to Christ Jesus. (You And Your Household Will Be Saved) At that time my father still had not taken that step of faith. He had been going to church for about two months and receiving the Word, but there was an awful battle going on for his soul. Every time the altar call was made we could see by his expression that he was having inner turmoil. We all knew that he was tired and stressed out from the path that he had chosen, but he kept listening to the tormenting spirits that would give him every excuse as to why it was not time to surrender. My husband and I knew that there were demonic forces that were tormenting his mind, so we continued to fervently pray, along with many others believers, for my father to turn from His wayward lifestyle and receive the gift of salvation. About two months ago when the altar call was made I looked at my dad and he nodded his head and reached his hand for mine, we stood and began to walk to the altar. He knew that the Lord was calling him and that it was time to go to the foot of the cross to seek refuge and to be transformed. He knew he could no longer go on doing things his own way. At the altar he repented and confessed Jesus Christ as His Lord and Savior. When I heard him say the words, “Jesus change me” I began to cry and cry and praise God. Even as I write this I am crying because for anyone that knows my father knows that this was truly a miracle. Maybe one day I can share more of his testimony. From that day on he has not been the same. As a result our family has not been the same either. We are stronger now then we ever have been. We have been sealed together by the blood of Christ. It is awesome to go to church with all of my family. For those that don’t know I’m Puerto Rican. 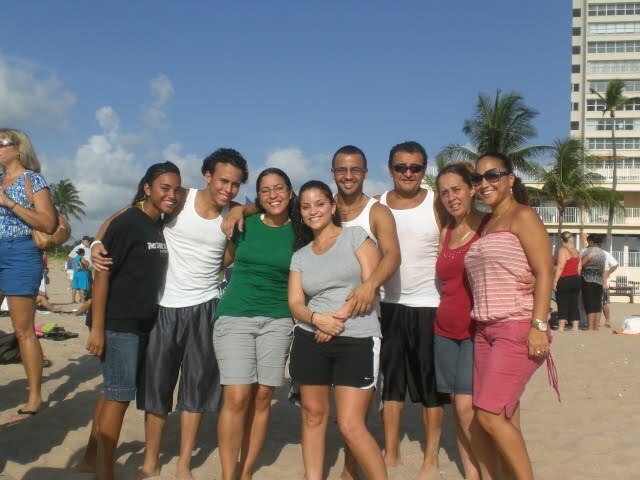 Puerto Rican families roll pretty deep. Our church had a night of worship and between me and my husband’s family there was 25 of us shouting, dancing, praising and worshipping God. It was AWESOME!! 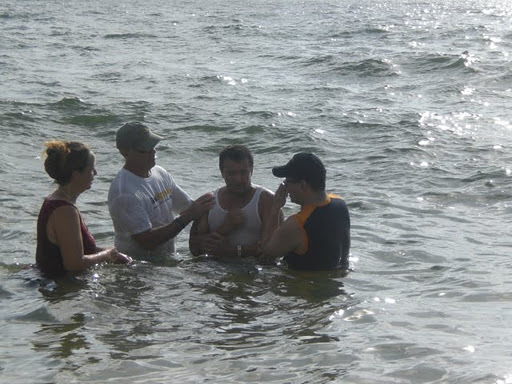 I think the icing on the cake for me was this past weekend when my father, step-mother, three of my brothers, sister, niece and future sister-in-law all meet up at the beach where our church was doing baptisms. 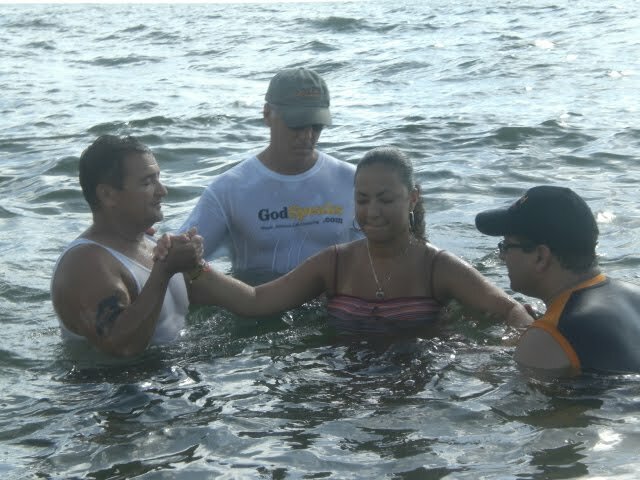 My father was the first to be baptized. Then the men that baptized him told him that as the head and covering of his family that he should baptize his wife as well as his children. So he did. I watched has he prayed over our family. His face was full joy and honor. I stood there knowing that generational curses were being broken. We were entering a new season in our lives. Things will never be the same. They will be better even through the trials and tribulations that we will have to face. Thanks for the comment. He will continue the work He has started in all of us..thank God He doesn't just safe us but He makes us new! Glory be to God for His faithfulness and mercy that endures forever and ever. I don't get here often but when I do I'm always encouraged. Praise the LORD for all He is doing in your family. Congratulations to all of you and I pray for the LORD's continued presence, peace and power in all of your lives. As I read I kept hearing the word:TRANSFORMATION. That is what has taken place in your family. Beautiful.God is faithful!Blessings and peace dear sister. Hey Lisa…Thanks for coming by and for the sweet comment. You are right there is a great transformation going on in my family. I am so blessed and humbled by all the Lord is doing in my entire family. I stand in awe as I know deep in my spirit that curse have been broken and generations have been changed forever. We are leaving a legacy and our children are a heritage of the Lord. Praise God for His plans are always awesome..
Wow, I love this post. I remember awhile ago I did a post about praying for my family. 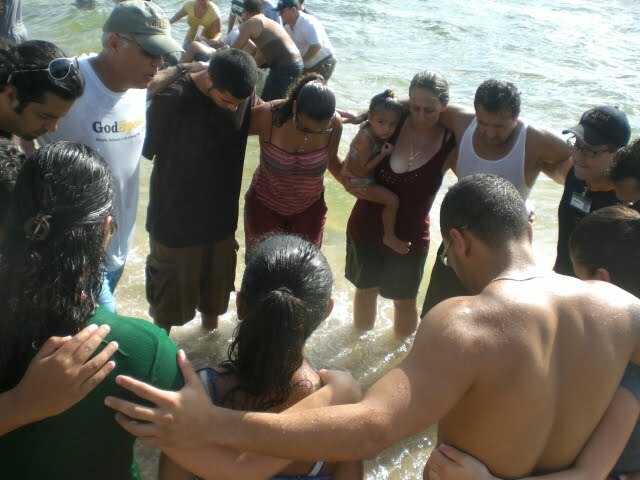 My family is not save (my mom, brothers and sisters). I just wanted to know, how long did you pray for God to save your father, before God saved him? This post has encourage me becuase I have been praying that God would save my family, (night and morning prarying). Thanks for this post. I have prayed for my father many many years..at least 13 years. I never stopped believing that the Lord would touch him. I never stopped loving my dad. I was never preachy with him. I would take the opportunities to share my faith with him but the Lord lead me to be patient with him and to keep loving him even through his mess. I see my harvest and I am overwhelmed with joy and awe..Don't stop believing. All things are possible. The Lord is in the business of saving even the hardest and most stubborn. He has His way of getting their attention. Keep diligently praying..though the vision tarry wait on it!